August 7th, 2014 | The Bekins Team. Since 1891, Bekins Van Lines has been a leader of innovation in the household-goods moving industry. 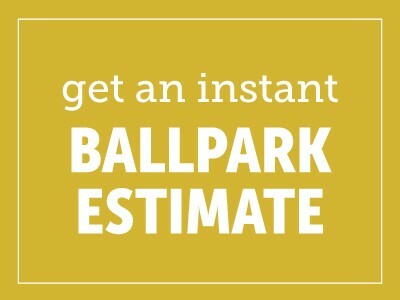 Throughout Bekins rich history, the specialization in storage became a primary service, especially in Los Angeles and its surrounding areas. For a special throwback Thursday, here is an article from the LA Times in 1989. 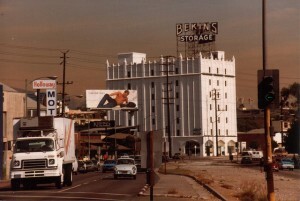 Looking back how Bekins changed the storage business as well as the South California landscape. They rise like medieval castle keeps above busy Southern California intersections. Their steep blank sides, relieved by rows of small windows, give no clue to the activities behind their fortress-like walls. Only the skyline signs reading Bekins Storage reveal the mundane purpose of these muscular architectural landmarks. The era of the grand Bekins castles is past, along with the grandeur of the service that moved America when the entire country seemed to be shifting West. But as the company’s late president intended, Bekins’ powerful buildings stand as permanent landmarks on our changing urban landscape. According to contemporaries, Milo Bekins believed that “moving is the American way.” He also believed that customers entrusting their personal possessions to Bekins needed the sense of reassurance offered by solidly built warehouses located on prominent sites. In a young and rapidly expanding city such as Los Angeles, where so many buildings seemed flimsy and transitory, he decided that his structures for temporary storage would appear unshakably permanent. Bekins built its first reinforced concrete warehouses in the 1920s and ’30s. A prime example of its architectural style is the 55-year-old building at 929 S. Brand Blvd. in Glendale, a solid oblong box that towers seven stories high. At street level, the arches of a recessed arcade mark a regular rhythm between the slender vertical columns that rise to the roof and end in finials resembling little dunce caps. Between the main columns are small pilasters that form frilly edges to the concrete cliff at top and bottom. Tiny windows make the building appear even bulkier, increasing its presence on the street. Yet another landmark warehouse, an eight-story castle built in 1929, is located at the corner of Pico and Crenshaw boulevards. A ground-floor arcade houses a row of shops, including Bekins’ furniture sales division, and arches are two stories high, allowing light to filter into second-floor offices. In its heyday the Bekins Co. owned more than 100 storage buildings in 14 states. In an attempt to streamline its operations in the face of stiff competition, Bekins began selling off its real estate in the early 1980s. By 1983, when purchased by Minstar Inc. of Minneapolis, Minn., Bekins’ stock of warehouses had been reduced to 55. Bekins Van Lines was founded in 1891 in Sioux City, Iowa, by two young Dutch immigrant brothers, Martin and John Bekins. Martin moved west four years later, first to Omaha, Neb., and then Los Angeles. In 1895 the brothers organized the first transcontinental move from Sioux City to Los Angeles, and opened an office here in an old van at the corner of 2nd and Main streets. One year later, Martin Bekins owned six horse-drawn vans and a one-story brick storage building at 360 S. Alameda St. A five-story reinforced concrete building was later built on the site and still stands alongside the original warehouse. The Bekinses were innovators in the moving and storage business. The first company in the West to specialize in household goods, Bekins later pioneered the concept of containerized storage. In 1903, Martin Bekins introduced the “side-winder” gasoline-powered moving truck to Los Angeles. Martin’s son, Milo, took over as Bekins chairman in 1927, and built the company into the largest operation of its kind in the world. In the 1950s, 1,000 Bekins vans rolled across the country, serving a restless post-World War II population moving from the cities to the suburbs, and from one suburb to another. The pre-World War II Bekins buildings were designed by structural engineers rather than architects. The vaguely Italianate style of decoration, featuring mini-pilasters and curly roof lines, was culled from the contemporary architectural pattern books popular among designers at the time. An example of the style can be seen at the 511 S. Fair Oaks Ave. warehouse in Pasadena. Bekins buildings had a simple structural and design formula. Columns were spaced in 26-foot bays under 12-foot ceilings. At the rear were one or two high doors for loading and unloading goods. Ground floor frontages were glassed-in for small shops or offices. Big metal signs displaying the company name dominated the skyline. The warehouses have stored an extraordinary range of personal items over the decades, from cases of monocles to the Pentagon Papers. The latter, a top-secret study of U.S. military involvement in Indochina, was stored in the Bekins Beverly Hills warehouse at 215 S. Canon Drive, in “several metal handcases, a footlocker, 18 book volumes, a large cardboard carton and a large carton file,” according to an affidavit filed by the U.S. Department of Justice. In the 1940s and ’50s, the style of the Bekins buildings changed. In keeping with the undecorated modernist fashion then coming into vogue, the warehouses became plainer and squatter. The 1943 four-story concrete warehouse at 35 W. Huntington Drive in Arcadia, a similar design at 2101 E. Carson Street in Long Beach, and the 1953 five-story building at 1425 Holt Blvd. in Pomona are examples of the slab-sided, featureless and almost windowless blocks typical of this period. The company also bought warehouses built by other storage companies. The 11-story Hollywood Storage Co. building at 1025 N. Highland Ave. was the tallest structure in Hollywood when erected in 1925. It was purchased by Bekins in 1939. And in 1943, a nine-story structure at 3625 S. Grand Ave., built in 1924 by the Birch-Smith Storage Co., was added to Bekins real estate inventory. Really nice style and excellent subject matter, hardly anything else we require :D.
I was 16 years old ,working at 2101 E.Carson ave longbeach CA.Bekins moving and storage,it was a great job!!!! !